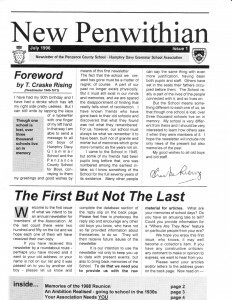 The first edition of the association’s newsletter was cobbled together using a very basic desk-top-publishing program on a home computer. When looking for a title a few were considered, including Cornish Grammar, but we were drawn to the title of the old school magazine the Penwithian. 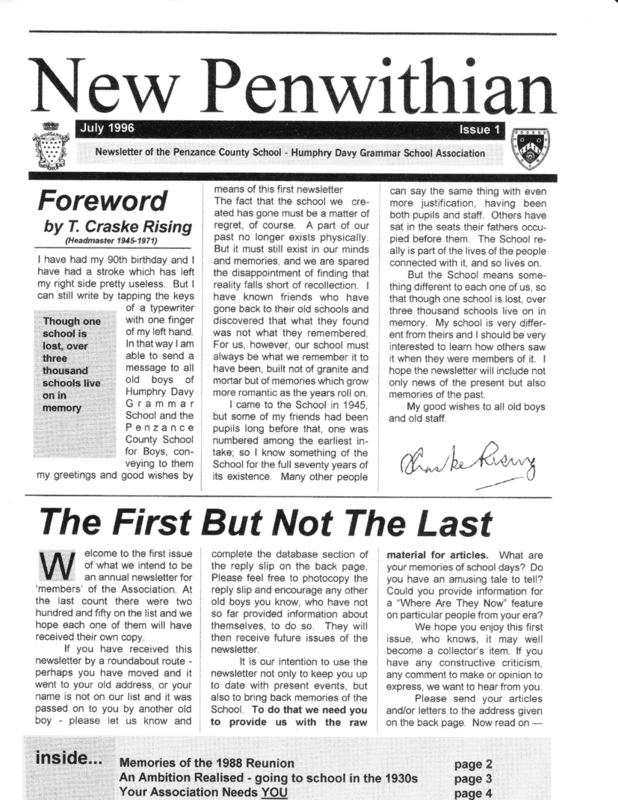 The late Ben Batten, former English teacher at the school, proofread the draft copy and the first edition of New Penwithian came off the press in July 1996. It was perhaps the amateurish nature of the first edition which prompted old boy John Richards [class of ’59] to put his wide experience of printing and publishing at the Cornishman at our disposal. He was very quickly co-opted onto the committee and since the second issue has arranged printing of the newsletter – since issue five he has also been the editor. You can now read articles from previous publications of the New Penwithian here on our website. The back issues are text only – no photographs or adverts etc – and run 4 years behind the current issue.